As a teacher, are you active on Twitter? Research suggests that below 10% of all teachers are using social media, despite the fact that it has developed into one of the most powerful tools in information and communications technology (ICT) in the past years. No matter what your answer is, you might find that Ross Morrison McGill, Deputy Headteacher at Quintin Kynaston Academy in the north of London, is a reason to either join Twitter or, if you’re active already, start following him. Ross is one of the leading head teachers when it comes to education and tech. Having finished school at 16 with just 3 qualifications, he gained QTS by studying Design Technology with Secondary Education at Goldsmiths College and later at Central St Martins whilst working as head teacher of the Design Technology department. He has been recognised several times for being one of the most influential educational bloggers in the past few years, amongst others by the Guardian. So why should you follow him and get active on Twitter? Ross tweets every day about helpful things such as Lesson planning in 5 Minutes, useful ICT equipment in classrooms or statistics and trends about governmental impact on education. Following him could not only help you saving time in lesson planning – you’ll become aware of many resources simply by checking your inbox or twitterfeed. We at Founders4Schools, for instance, are always tweeting about inspiring events that fellow teachers organise – following us will put you in direct touch with successful business leaders in your local community – who you can book to visit your school in just a few minutes. Back in the “real world”, why not hear insights directly from experts who are leaders in the ICT and Tech industry? Use our platform to invite them to come to your school to inform your students about recent trends in the sector. Serdar Atamert, Founder & CEO at Epoch Wires Ltd, developing and manufacturing super-conductor wires, Ray Anderson, CEO at Bango.com, working in the ICT sector, Richard Thurbin, Founder and CTO at Cloud Amber Ltd that specialises in intelligent transport system software, Malcolm Coury, Managing Director at Moneywise Independent Financial Advisors and Wen Zhang, Managing Director at Comsol, that provides software solutions for multiphysics modeling. 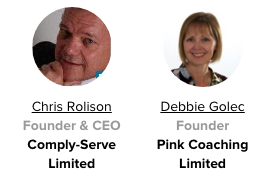 Debbie Golec, Founder of Papillon Coaching & Mentoring will join together with Chris Rolison, Founder and CEO at Comply Serve Ltd, specialising in software development, to share their career experiences with the students to help them understand better how they can drive successful careers. Have you heard about the Hour of Code? Started by Code.org, the hour of code has developed into a worldwide movement that has introduced over 100 million students to computer science! The facts are clear – a lot more jobs that include even slight traces of computer programming open up daily than students graduating in these fields, making knowledge of coding invaluable for the future of your students. On a happy note, this year more girls are learning computer science than in the past 70 years combined. Tutorials like learning to programme with Elsa & Anna from Frozen help to open up the world of computer science to girls. But the Hour of Code is not about sitting alone in front of a computer – it is about teaching your students logical thinking and teamwork (also with outdoor activities) as these skills will make a huge difference to your students when they apply for jobs in the coming years. and plan something great with your students! What do you need to to participate in the Hour of Code? from the 7th – 13th December 2015! You can also get support from the computer industries – we are here to help you with that! Carolyne White, Head of ICT at Friends School, has invited 3 experts from the computer industry to meet their Y12 to Y13 computer science students in the mid of December to introduce them to the system and processes they’ve worked with and to inspire them to aim high in their careers as computer science experts. 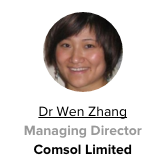 Speakers will be: Simon Payne, CEO at Cambridge Technology Consultants, Peter Cowley, Director at Camdata Ltd and Angel Investor and Greg Law, Co-Founder & CEO of Undo Ltd.